Incredible GOLF COURSE VIEWS from this 2-bedroom PLUS LOFT condo in a private GATED community located in the beautiful city of Mission Viejo. This condo offers a ground floor entry with 2 ground floor bedrooms and bathrooms. The owner has turned the huge loft to a 3rd bedroom but the home is set up as 2 bedroom plus a den. The patio can be accessed from both master bedroom and the living room. 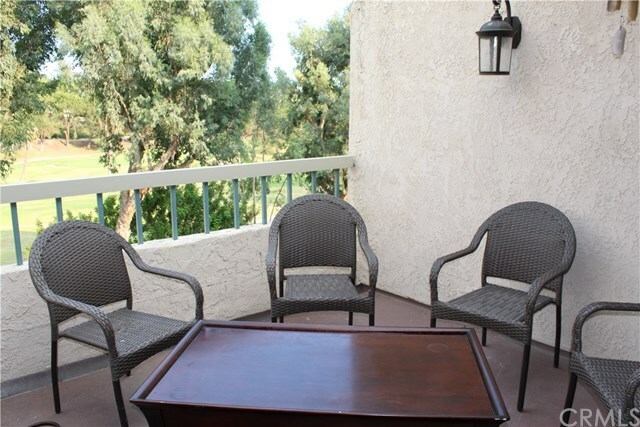 The patio offers over looking panoramic view of the of the golf course! The inside laundry area is conveniently located in a closet off the breakfast room area. The condo has a very bright and light living room with vaulted ceilings and lots of windows which make the golf view enjoyable at all times. One car garage plus one carport. Plenty of guest parking. Residents of Finisterra Green get to enjoy pools, spas, & membership to Lake Mission Viejo.